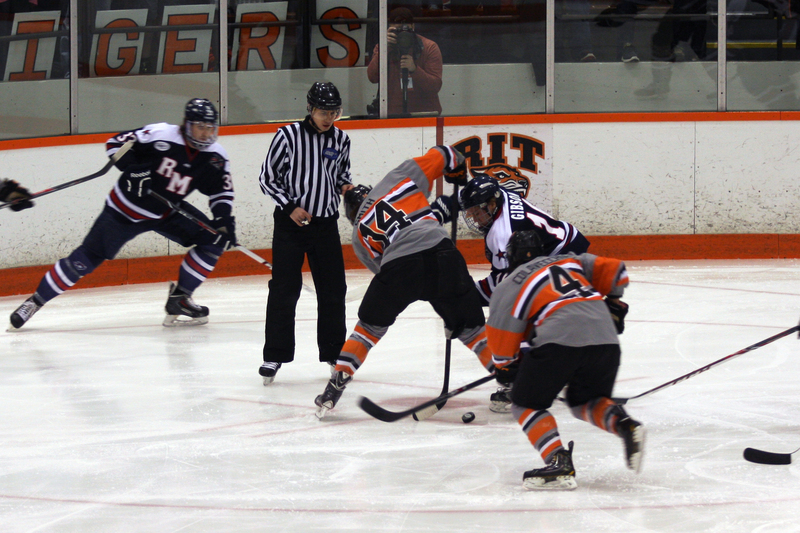 Last weekend we decided to go see the RIT Tigers play against Robert Morris. The Tigers hockey schedule was a little skewed this season, so a majority of the home games were in January and February. That has resulted in us going to many games so far this month. 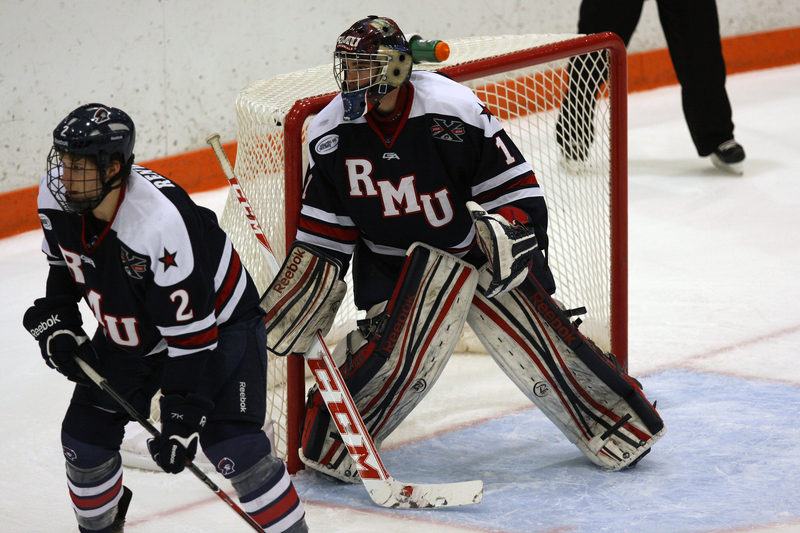 We’d never seen the Tigers play Robert Morris, so it was a chance to see a new team. 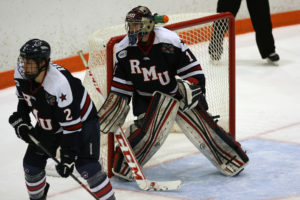 Unfortunately for the Tigers they ran into a Robert Morris squad that was 10-1-1 in their last 12 games. 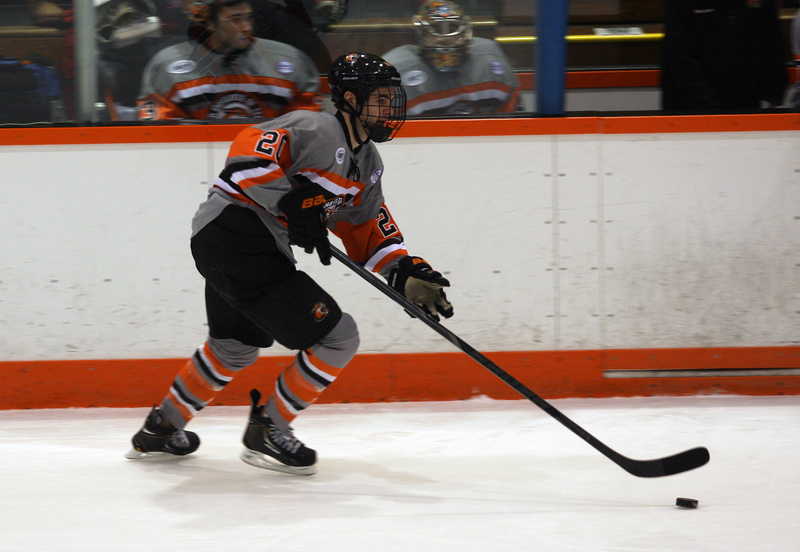 The Tigers outplayed Robert Morris in the Friday night game, but ended up giving up a late goal and ended up with a 2-2 tie. The Saturday game was a complete blowout, and the Tigers played one of the worst games I can remember. 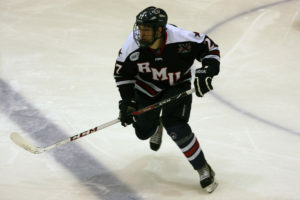 They were just awful, no hustle, beaten to the puck, and terrible even on their own power play. 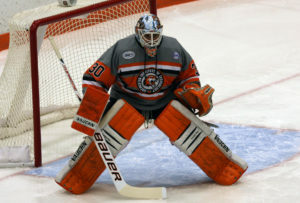 Tracy and I were both happy to see the Tigers wearing their Frozen Frontier outdoor hockey jerseys. Here’s a few photos from the Friday game. 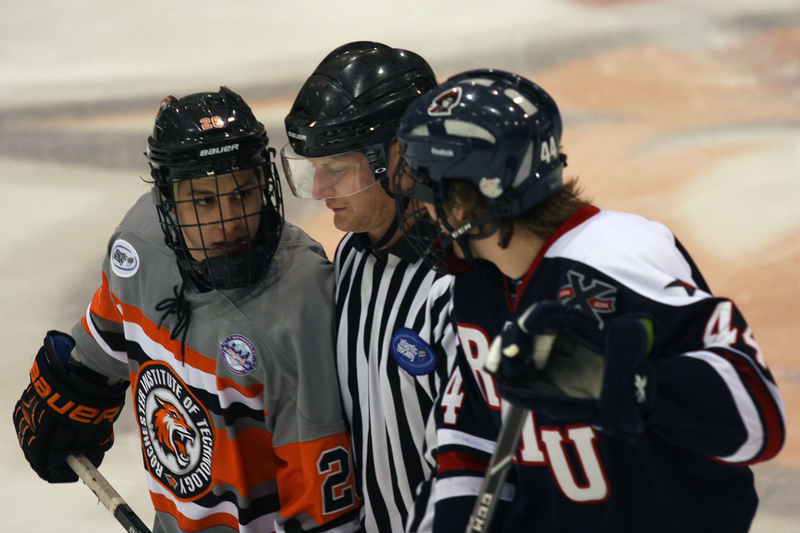 As is usually the case, you can see more photos of the game in my RIT Hockey flickr gallery.